I have visited Dangriga many times in recent months, but always on business. Dangriga is the administrative center of Stann Creek district in Belize, so my time there was always linked to office hours, unpredictable public service officials, and weather conditions that undermined any attempt of voluntary exploration. The first three times, the town appeared neither interesting nor inviting. I saw too many potholes in the trash-lined roads, dilapidated public buildings, crowded dwellings unsuitable to live in, dirty store windows, and faded roadside signs with peeling paint. Dogs and people roamed the streets in the steaming heat of the rainy season, and no one looked particularly happy even when dressed in loudly bright colors. I cannot recall seeing any inviting restaurants, so after completing my business, I hurriedly looked for the road exiting the town, and when I found it through the maze of one-way streets, I usually left with a sigh of relief. About a month ago, I came across an old issue of the Belize Tourism Industry Association‘s beautiful magazine, Destination Belize. I opened the unusually high quality publication and hungrily scanned the glossy photos and catchy headlines. I found the pages describing Dangriga, and my jaw dropped. Was this the same town I had visited three times already? The magazine stated that Dangriga “…is not only the district capital, but to Belizeans, a cultural center”, and claimed that “Dangriga would make a nice day trip, but you will probably want to stay longer.” I learned that it was a town where “…cozy hotels hug the seafront”, and also that “Dangriga is reminiscent of a quiet seaside village along the African coast”, a feature which had totally escaped my attention. How could I miss all this? A feverish research revealed many things to see and do in Dangriga, this “capital of culture”, including visiting the Gulisi Garifuna Museum and art galleries, and talk and meet with renowned artists, musicians, traditional doll makers, and storytellers. The magazine made me want to go back immediately and explore this magical town. I decided that next time I would visit with a purpose of cultural exploration. I even picked a restaurant where I would have lunch: The Riverside Cafe in downtown Dangriga, which “… is a popular place to wait for boats from the cays and has a menu that includes Belizean and Creole foods” (Destination Belize, 2009). I awaited my next opportunity to visit with wide-eyed curiosity and open minded expectations. When the time came, unfortunately, my hopes and plans were washed away by steady, malevolent rain that began before I got on the road. The Riverside Cafe seemed like a hole-in-a-wall old men’s bar with its rain-washed walls, closed shutters, and dark interior. After wading through puddles with floating trash along the stalls of the central market, I gave up. Soaked to the bone, I got in my car and headed home. I was somewhat disappointed; Dangriga eluded me once again. Stubborn as I am, when I pulled into my driveway after the 1.5-hour drive home, the only thing I could think of was: “This dance is not over yet”. I am looking forward to the next round. 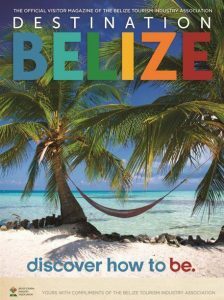 Note: All quotes are from various issues of Destination Belize, The Official Visitor Magazine of the Belize Tourism Industry Association.